Hi! 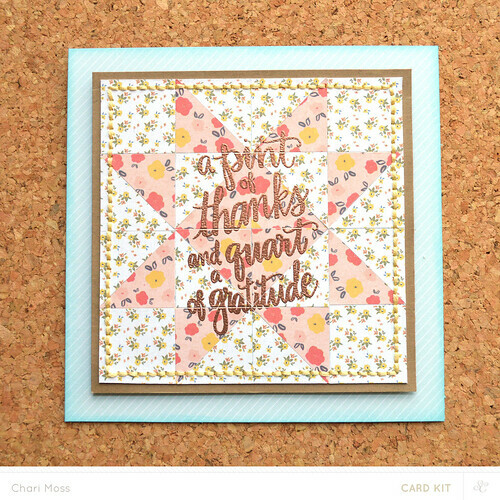 I'm back with a couple more projects using Studio Calico's September Kit Poet Society and a few of the Stamp Add-On kits. 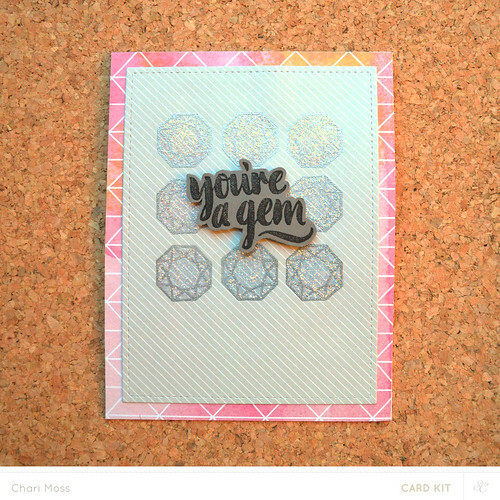 My first card uses the Circles Add-On. 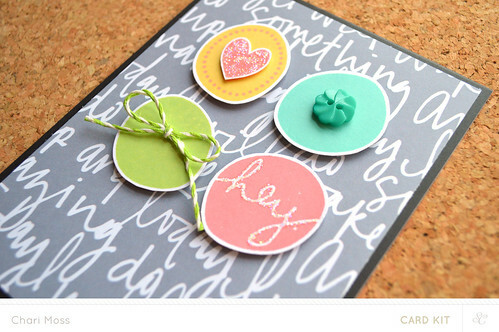 I stamped using various colors of ink then cut them out and arranged them on the grey background. I really love how to the colors pop! I wanted each circle to be different so I added different embellishments to each one. For my second card I used the sentiment from the Jar Stamp Set and created a quilt card. I pulled out the flower papers from the Card Kit because I thought they would look like a quilt my grandmother might have. It was very easy to create the quilt pattern and I will share a tutorial on how I did this in a couple days. I heat embossed the sentiment in copper embossing powder and added hand stitching around the edge to finish off the quilt look. 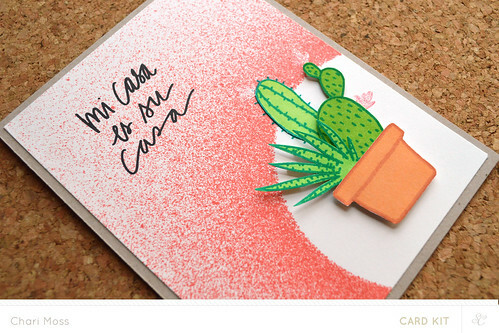 This next card uses the Cactus Stamp Add-On set. I masked off a circle in the bottom right corner and used some Mister Huey's to spray my background, leaving a white circle to highlight my image. 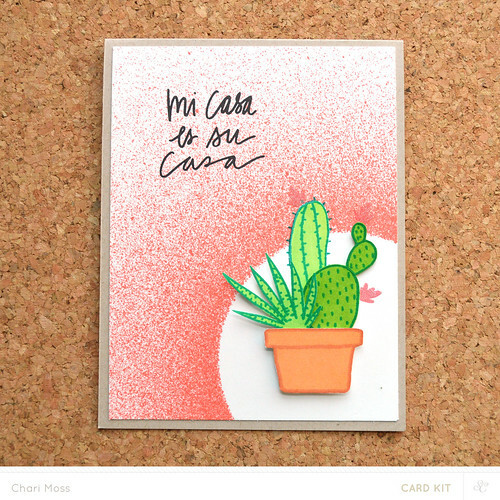 I stamped and colored my cacti and cut them out layering them together with different thicknesses of foam squares to create a dimensional image. The last card I have to share today uses the Main Card Kit. 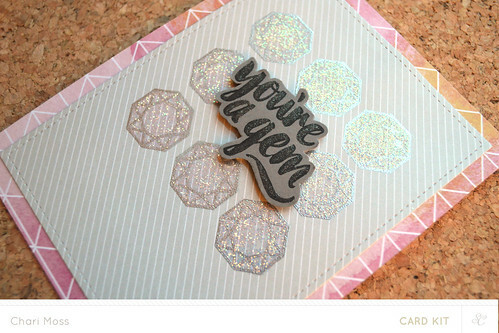 I stamped the diamond in versamark ink and embossed them in silver embossing powder then I applied a coat of stickles glitter overtop. 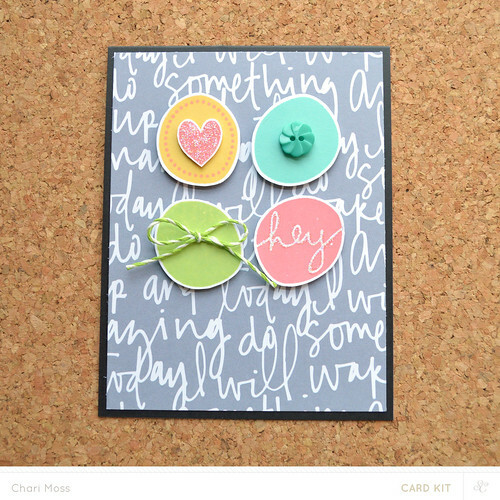 The sentiment is stamped and cut out of a darker card stock so that it will stand out against the lighter background. Thanks for stopping by today. You can find the September kits HERE. 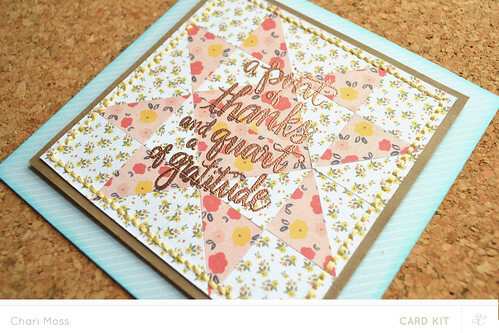 Love the quilt card! Looks like my grandmother's quilt! Can't wait to see how you did this one!